AquaSun® Dual Timer | Zoo Med Laboratories, Inc. 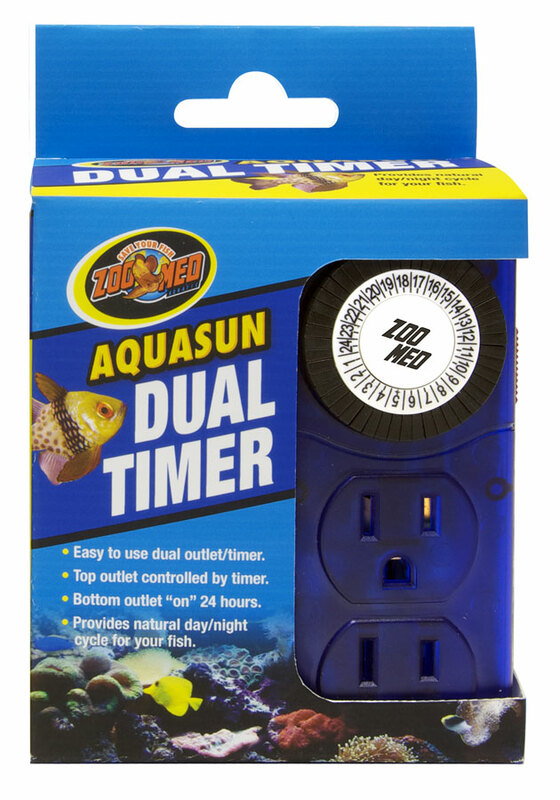 Regulate your aquarium’s photoperiod with this easy-to-use dual timer! Need an easy-to-use, 24-hour timer that helps you manage the day and night cycle of your pet’s habitat? Look no further! Check out the AquaSun® Aquarium Timer!